During Sony’s PlayStation event earlier this week, they unveiled the new PlayStation 4 Pro to much dismay. Along with it, they showed off several games that benefit directly from the added power including Mass Effect Andromeda. The last game anyone expected to see. While this was a nice surprise at what I can only call a disappointing event, and I understand that the gameplay is meant to demonstrate power, it still left much to be desired. Here it is in 4K if you can handle that many pixels. 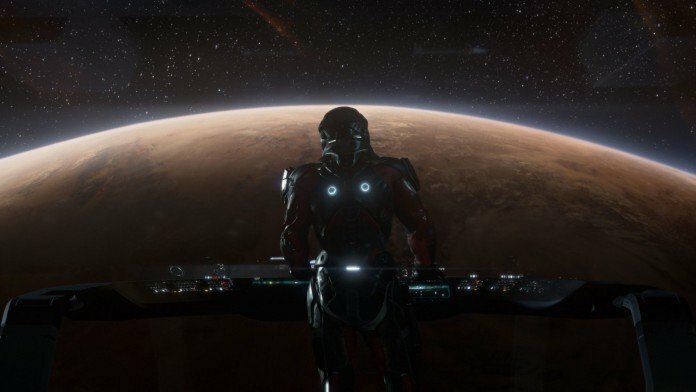 The best thing I can say about Mass Effect Andromeda is that it looks jaw-droppingly gorgeous. The atmospheric lighting and overall art direction really shine especially with the new console. However, I think that’s where I’ll stop as far as praise goes. I am a huge Mass Effect fan but we have been teased repeatedly for several years now with absolutely nothing concrete. Many of us die-hards expected a great E3 showing but got nothing but more obnoxious fragments. While I understand that they cannot share four hours of gameplay, at this point I feel that the marketing team has actively hurt itself and the product it wants to sell. Why do they insist on continuously teasing us? Why is it that we cannot get a proper trailer demonstrating new unique systems that the sequel can offer? If EA decided that the PS4Pro event would be the true first reveal for Andromeda, why stop just as it becomes interesting? It looks like a shiny new toy, but that’s about it. The iffy voice acting and awkward animations aside, there was a severe lack of substance to the gameplay that really sells itself short. Hopefully, N7 day in November will bring me back into the fray with some great gameplay, but the marketing thus far has actively made me less interested than before it was unveiled, which is such a shame.